I stepped outside earlier tonight to run down to the gas station and was met with a thick, creepy fog. There’s something peaceful about the fog as well, in the way that everything around you fades away into the quiet night. 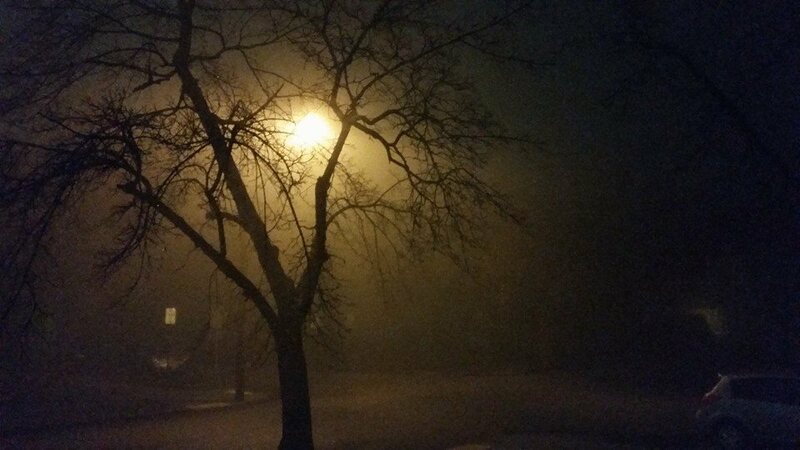 This entry was posted in Boise, photo, photography and tagged Boise, fog, foggy, photo, streetlight, tree. Bookmark the permalink. My copy of Puyo Puyo Tetris arrives tomorrow! That’s pretty thick fog–we had some the other day here too. That said, having recently played Persona 4, I can’t help but think of it when I see fog.